Hi again :) I have just created my most favourite nail art design. A Monarch Butterfly. 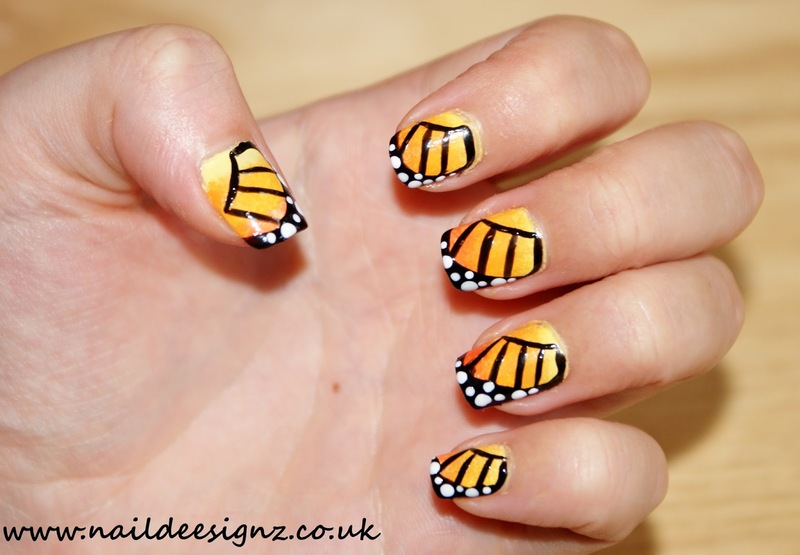 This is the first time I have even tried this design out, so for a first attempt I am very pleased. 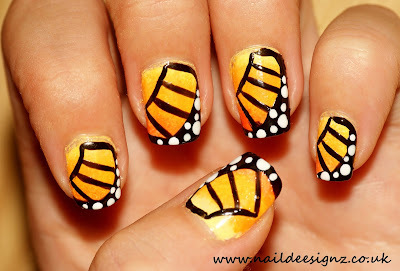 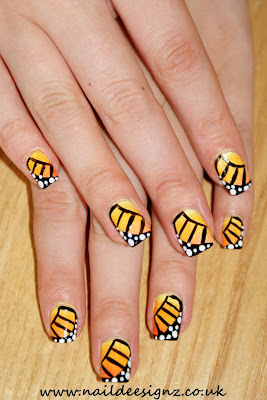 I've seen quite a few butterflies around this year so I thought this would be a perfect summer design. 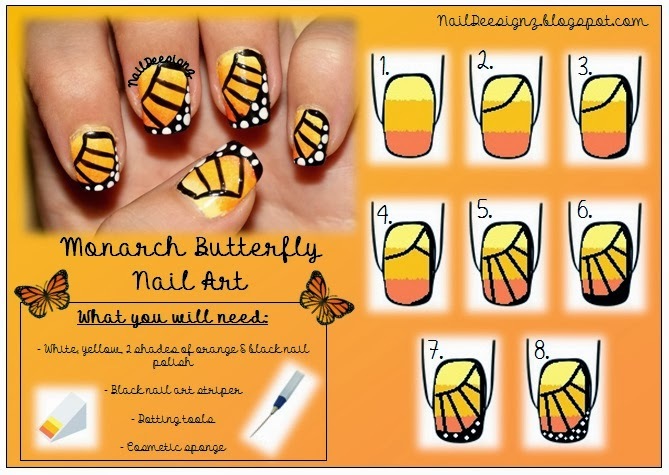 I hope you find my pictorial easy to follow, if you have any questions, please let me know.